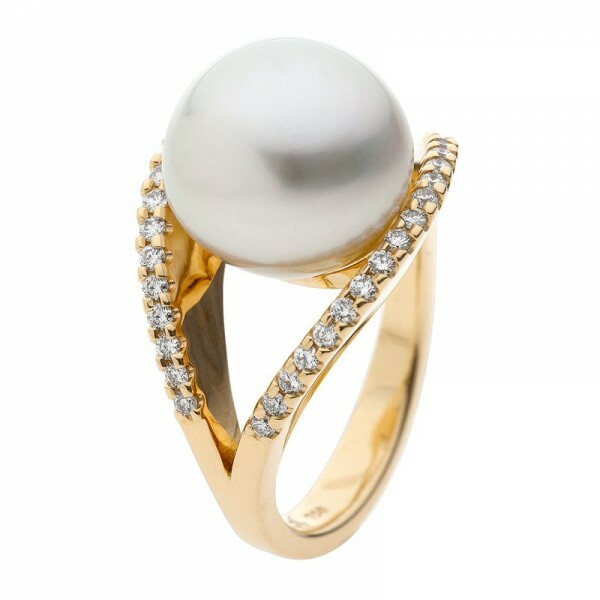 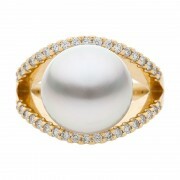 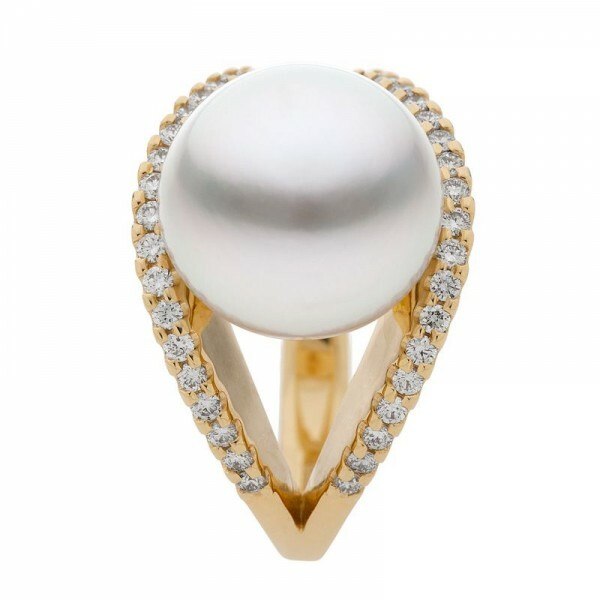 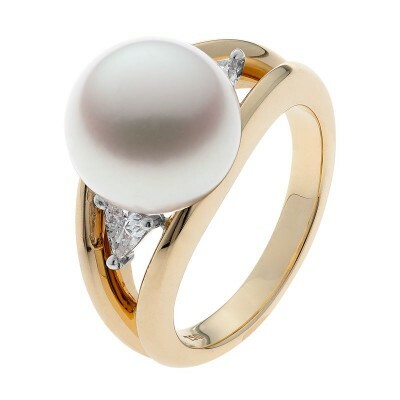 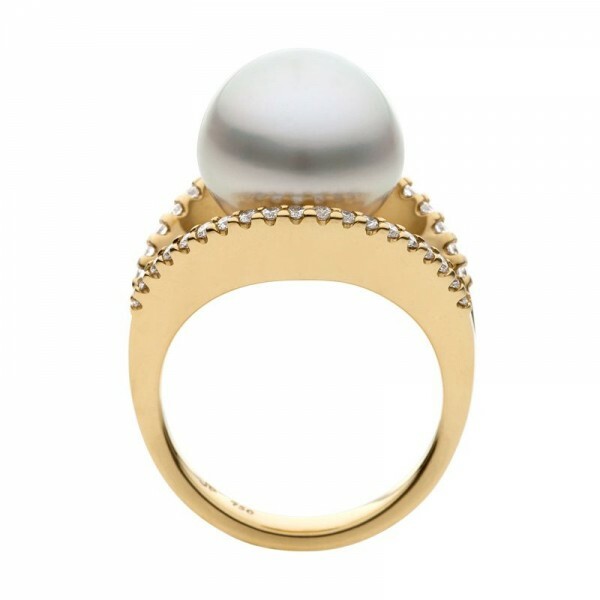 A magnificent ring featuring a large South Sea pearl sunken into a split style band. This ring gives the impact of a large heavy ring, but the open style of the band allows for a much more comfortable lighter weight finish. The top edge is set with brilliant white diamonds giving this ring its style and poise.